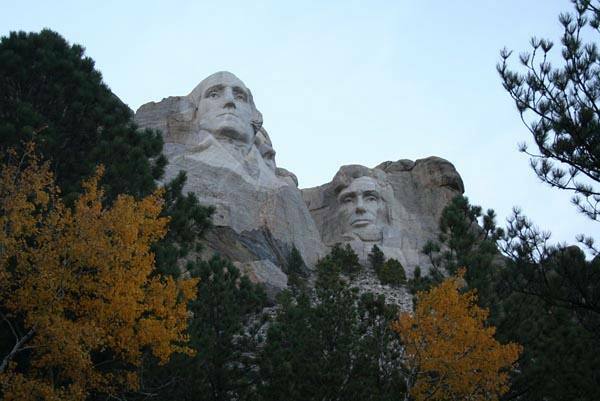 I went up the mountain to see the presidents who were deemed so solid and substantial that they were carved into the face of Mount Rushmore. I wondered if their larger than life facades were justified. 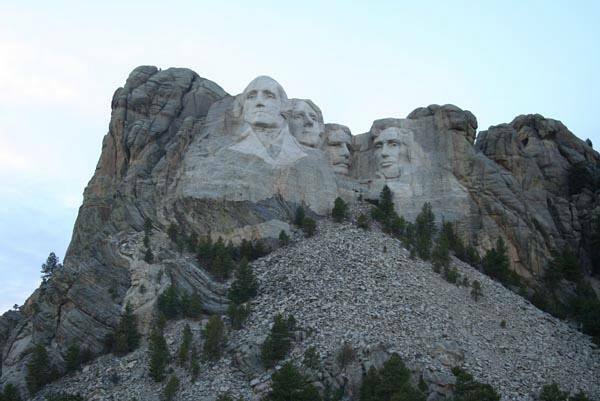 I think that Presidents Washington, Jefferson, Roosevelt and Lincoln did indeed deserve the honor. Meanwhile our current president “G.W. Bush” is featured on the website Bush or Chimp. 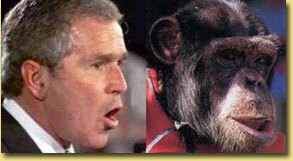 This site showcases dozens of photos of George W Bush side by side with chimpanzees who have an uncanny resemblance. Itâ€˜s hard to know who is mimicking who. 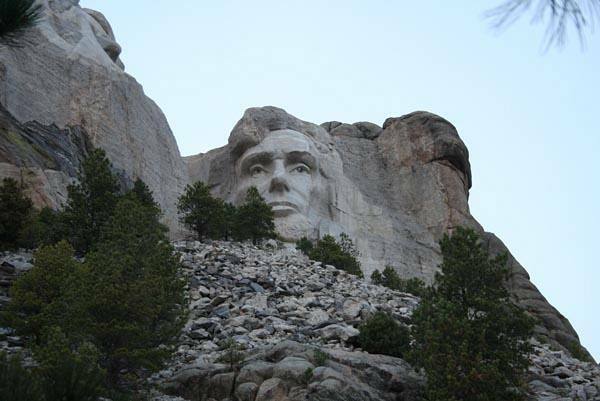 Of course, past presidents, Lincoln in particular, endured lampooning in the press. But lately our government does seem to be up to a lot of monkey business. Of course, it can’t all be blamed on the government. After all, politicians largely pander to what the public wants rather to what the country needs. Meanwhile the self serving government bureaucracy and its leaches, such as the “industrial military complex” that President Dwight Eisenhower warned us about, continue to swallow up resources like a black hole. 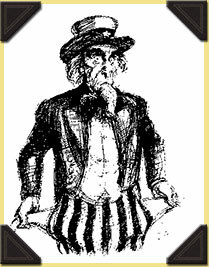 America has gone from a nation of disciplined and industrious savers to a nation of borrowers and spenders. Who would have imagined that the US would come to rely on China to finance our consumer and government debts? The Chinese alone hold almost one trillion dollars in US IOUs and counting. The USA currently buys more than 800 billions dollars worth of goods and services from the world than it gives back. This deficit amounts to about 6% of our gross domestic product (GDP). Up until now most of the world has been willing to accept IOUs from the US (bonds, treasury bills, collateralized debt, dollars etc.) in place of actual good and services. However, no less than the X Federal Reserve Chairman himself, Allan Greenspan, has said this can’t continue. If foreign investors and foreign central banks stop accepting our IOUs and supporting the US dollar it will drop far more rapidly than it has in recent years. This would accelerate price inflation in the US and essentially lower the living standards of virtually all Americans. I fully expect the US Federal Reserve will continue to inflate our money supply like a drug dealer pumping its junkie constitutes full of ever greater fixes to keep them from experiencing withdrawal and a harsh reality. But sooner or later this day of reckoning will come. It has already begun in real estate and will it will soon spill over and adversely affect the rest of the US economy and then the world. Real estate agents, mortgage brokers and bankers have stampeded millions of people into bad purchases and loans like buffalos being herded off a cliff. Of course, most of the herd thought they were rushing head long into easy money. Instead many are going to have a long hard fall. But let’s not forget the financiers and hedge fund managers. They’ve have been making enormous multi million dollar salaries and bonuses by enabling this stampede by lumping all these questionable loans into mortgage backed securities. Of course these financiers are not holding this garbage debt. They turned around and made money selling it off to pension funds, banks, hedge funds investors and others who were foolish enough to buy it. I expect these sophisticated financiers have taken their obscene earnings and safely stashed them in hard assets or foreign accounts. The world now stands on a shaky mound of highly leveraged debt (derivatives) and inflated stock and real estate valuations. Virtually all booms, especially those build on inflated paper, go bust. I expect this current “boom” will be no different. Inevitably it will be Joe Q public, the US tax payer and those holding US dollars who will pick up the tab. For an excellent article on this Big Brother swindle and the creeping facism in the “land of the free” visit “ORWELL’S 2009 – BIG BROTHER IS WATCHING” by James Quinn. I’ve always had a strong contrarian streak. If the masses stampede right, I say go left. I side stepped the real estate boom and bust. I intend to side step the stock market “boom”. 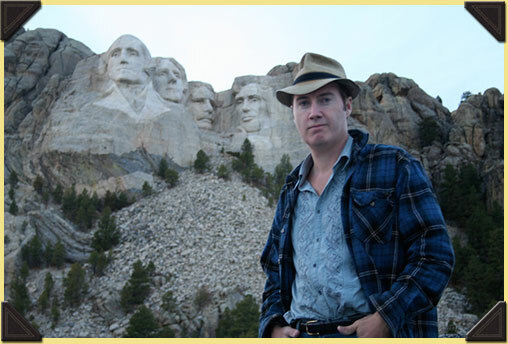 Earlier today, on the same day that I visited the Presidents at Mount Rushmore, I traded all my US dollars for gold and foreign currency issued by countries that aren’t ponzie schemes. I trust that these past presidents of substance would reluctantly support my decision if they saw what a travesty their “Republic” had become. I think you can almost see it in their faces. 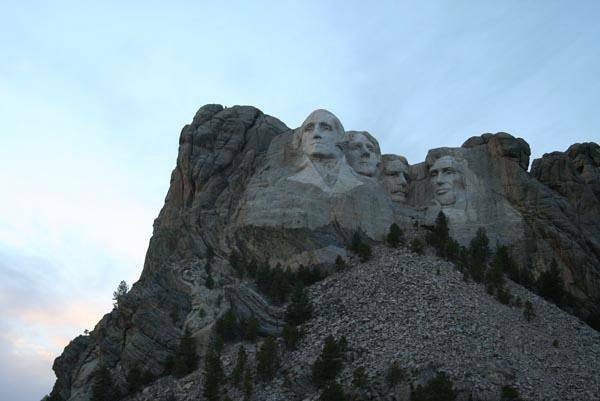 This entry was posted on Wednesday, October 24th, 2007 at 1:38 pm	and is filed under South Dakota. You can follow any responses to this entry through the RSS 2.0 feed. You can skip to the end and leave a response. Pinging is currently not allowed. After reading your article I am somehow glad that I never have any money.